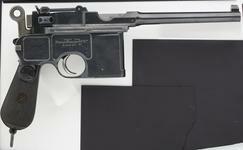 Standard 10-shot commercial 'large ring hammer' Mauser C96 pistol with standard size frame and barrel length. 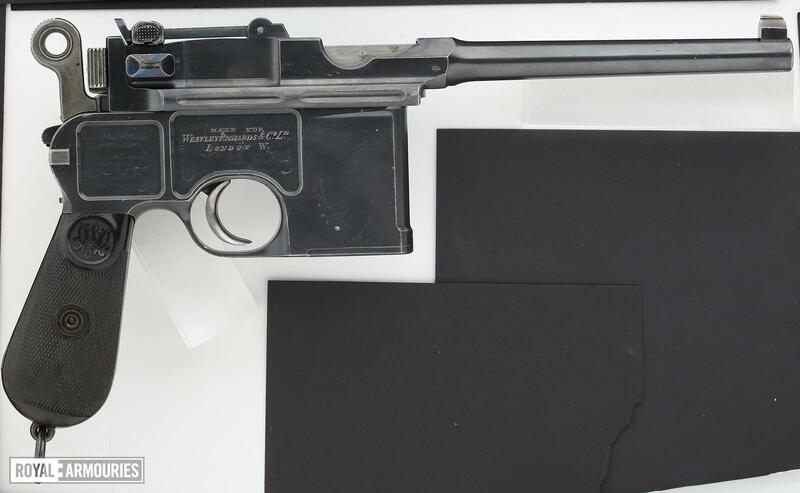 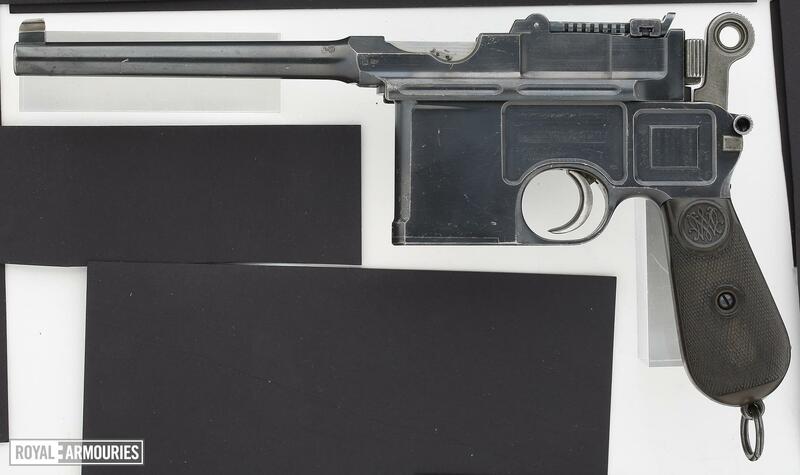 Typical early features including large ring hammer, deeply milled panels in frame, rear sight graduated 50-500 (yards), early firing pin retainer, 1st type safety catch, separate trigger unit, long extractor, and 'Waffenfabrik Mauser' nock's form marking. 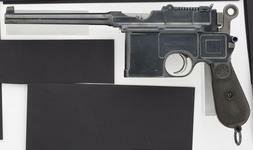 Typical rust-blued finish on frame and barrel/barrel extension, extractor and rear sight fire blued, trigger 'strawed, internal parts and the hammer case-hardened. 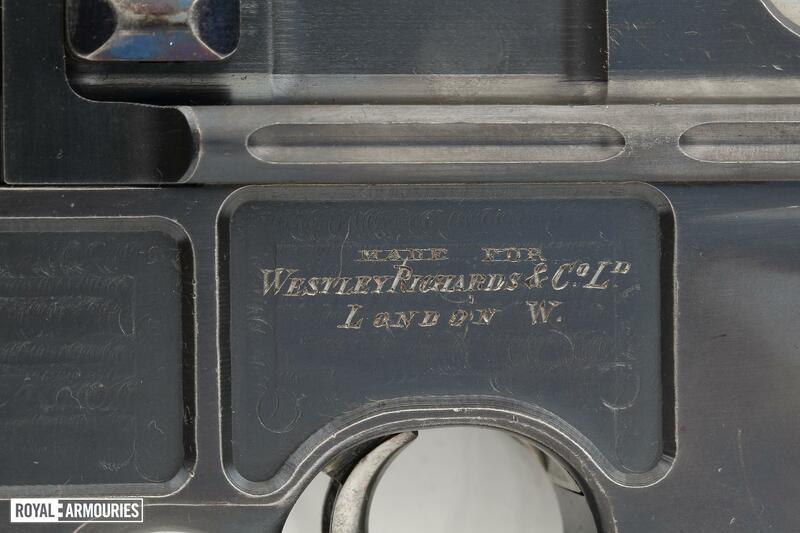 Synthetic (hard rubber) chequered grips with Mauser monogram.Typical German proof marks. 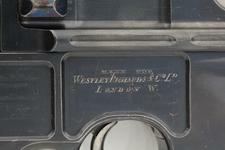 Fitted with original lanyard ring and later collection tag on modern split-ring.